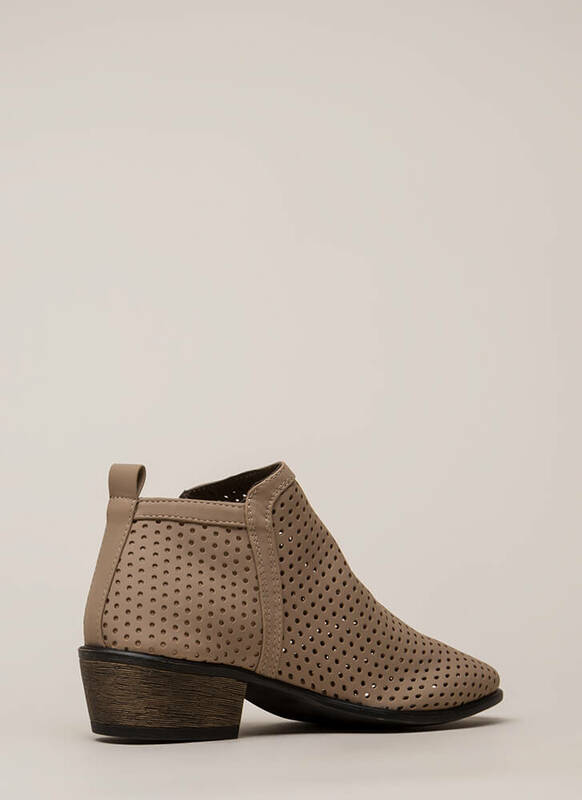 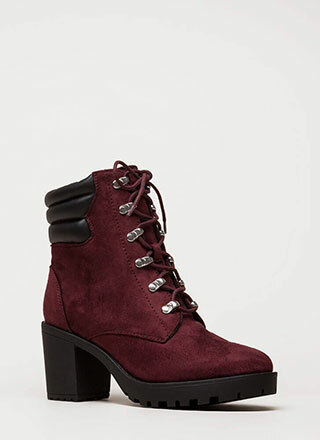 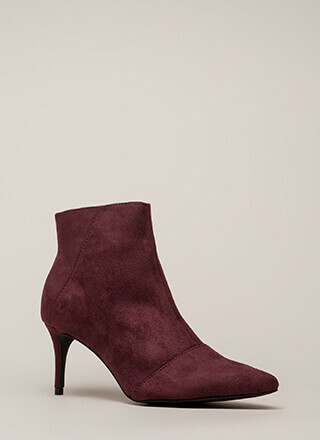 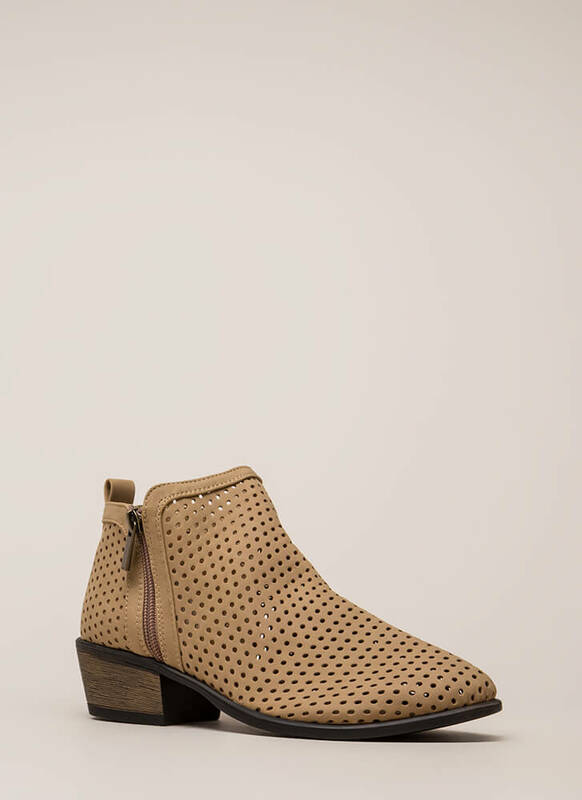 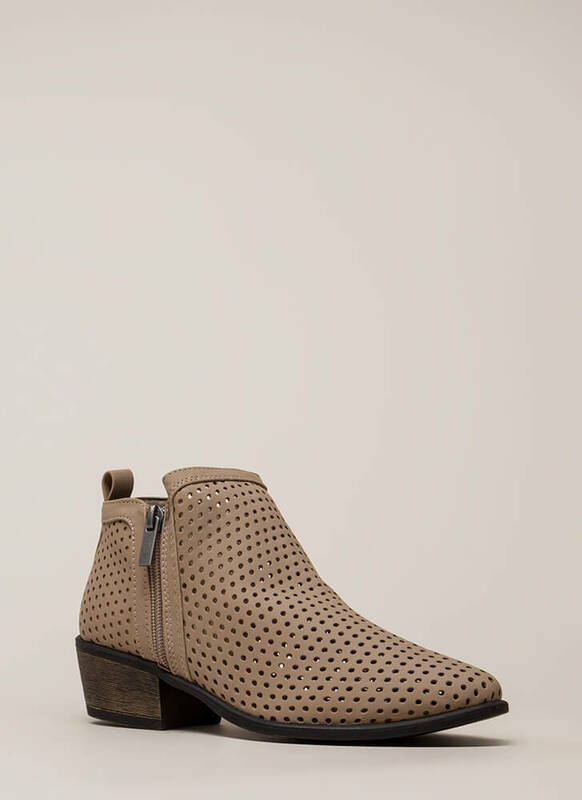 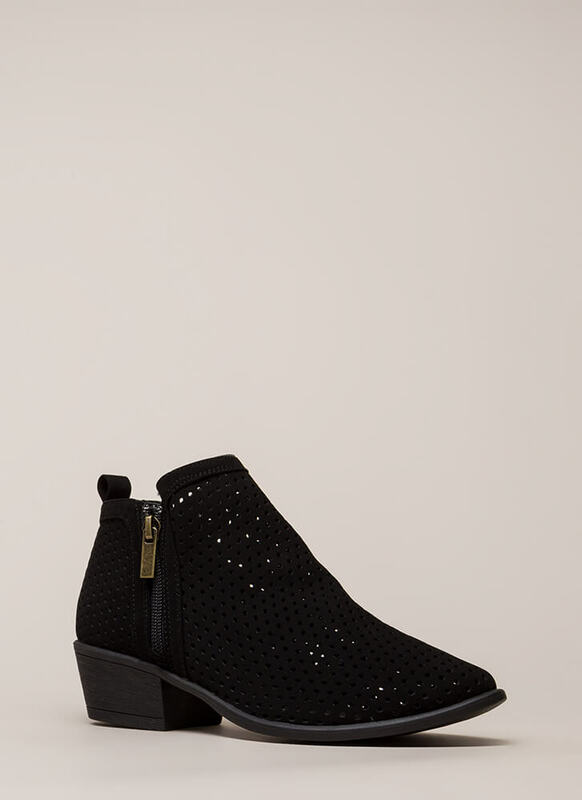 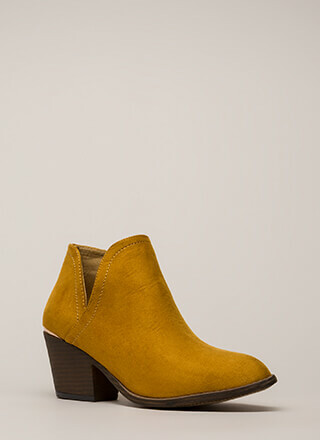 Get your #OOTD on point with these sleek and subtly textured booties! 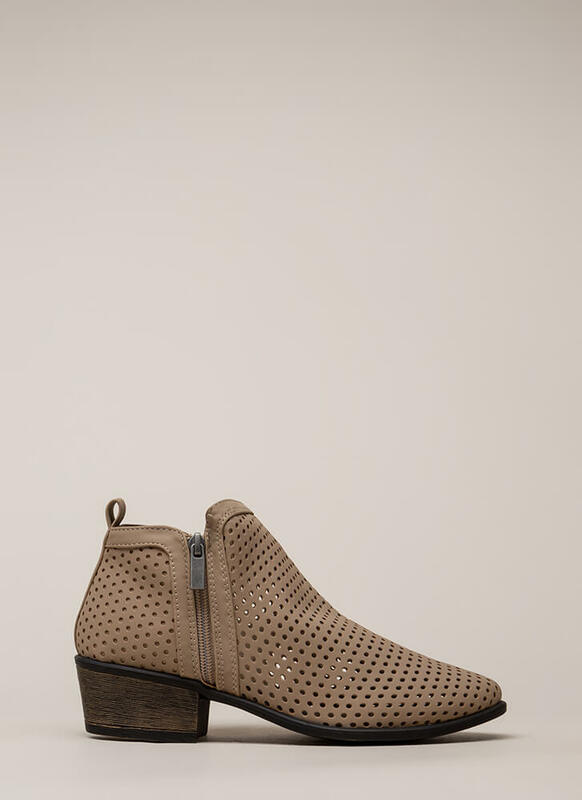 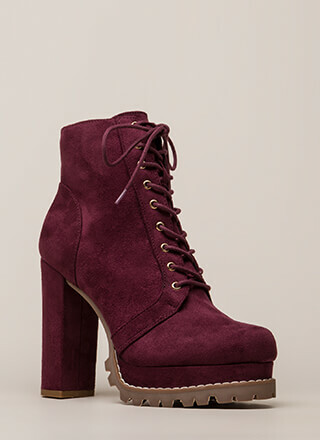 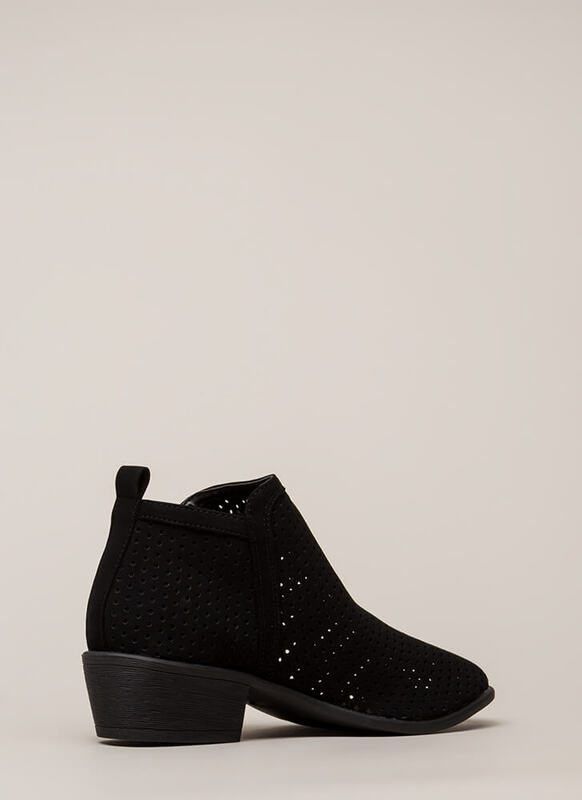 Vegan nubuck booties feature an allover perforated upper with a tapered toe box. 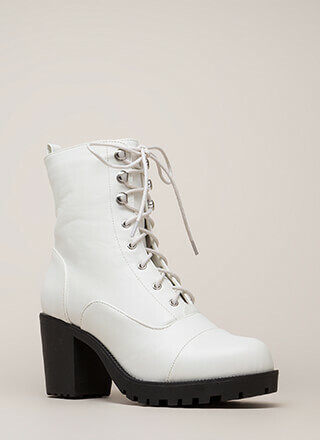 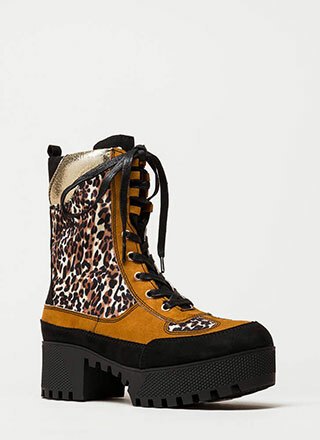 Rear pull tab leads to a low, chunky heel. Finished with a side zip closure and a ridged sole.